A moldy crawlspace is most often detected by technicians doing service work and by homeowners smells a hard to find musty smell in their homes. Locating mold in a crawlspace can be tricky due to a combination of lowlight and the presence of so many little nooks and crannies for the mold to hide. Causes are near always attributed to water presence in some form or another. Whether moisture is pooling or condensing is often the concern in determining the source and location of any mold or moldy smells. It is the prevention and repair of the cause of these leaks that is the determining factor in preventing mold or moldy smells in the future. Simply placing plastic over the affected area will only give the moisture another substrate to condense on. This is why many crawlspaces that have been sealed without treating the water issues so often experience rotted wood corroded foundation walls and musty mold smells. Spraying moldy surfaces with bleach can work, however the surface must be solid and non-porous. Counter tops, certain tile floors, bathroom tiles, glass etc. can be cleaned this way. The grout between tiles, walls or any porous surface or wood-based building products, including paneling, studs, etc. are not candidates for chlorine based products. There are a number of new mold and mildew related products on the market, and each have their own unique instructions and intended effects. Read the product label carefully to make certain it is appropriate for your particular problem and then follow the directions exactly. This is the only way to be certain your efforts have a chance for success. Of course, calling mold remediation professionals when it come to mold remediation is always a good alternative to the “hit or miss” reality of do-it-yourself attempts. Fortunately, most people are not overly sensitive to the mycotoxins produced by some active mold colonies. While the “smell” of mold growing is not pleasant for anyone, most people do not require medical treatment as a result of mold exposure. There are, however, a significant number of exceptions. Since all of us have the capacity to develop reactions to mold toxins over time, living with mold in the house means assuming unnecessary health risks for families. When it comes to basements, “clean them up and dry them out” is an appropriate motto! There are 3 important steps to preventing mold growth in your home. 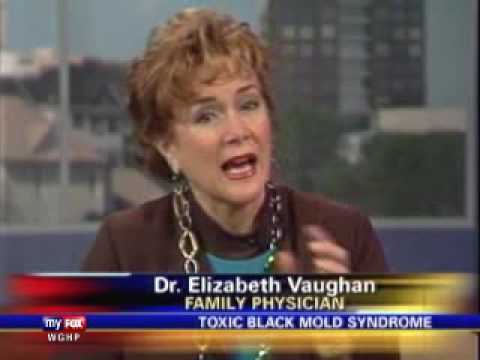 If you smell mold, you have mold. The first step is finding the source of the smell. Once this is located and narrowed down to a relatively easy to inspect spot, then you are ready for step two. Removing mold can be very messy and even dangerous if there is a large amount of it. Areas of heavy mold growth over a few square feet should be removed under containment or at least by a mold professional. It is possible to clean mold off of surfaces that are not porous such as glass and plastic, but it will not be possible to clean porous materials to a mold free level. Materials such as drywall, cloth, leather, shoes, basically any organic material will not clean very easily. If these materials cannot be put in a deep cycle cleaning machine, like a washer, then there is little hope of removing all of the mold. The removal of the actual source of the water is the primary goal in preventing mold growth. If the source of water is removed or cut off, the mold will not continue to grow. It is true that mold will still remain alive after the water is gone, but it will not continue to grow. This is why, however, removal of moldy materials is only one of the important steps. Many mold removal and mold remediation companies do not perform this crucial step of water remediation and the mold only returns. This article on slime mold, myxomycetes, covers it’s life cycle and classification. An article on 25 ways (convenient number to stop on) to combat mold. There are some good points: don’t use bleach, find the source of the water. The article ends with, “A mold-safe building is not a one-time effort.” Discouraging. Old news, new study. Beautiful pictures.